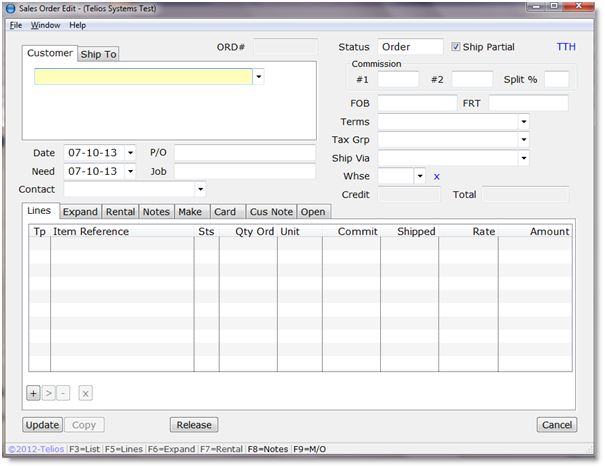 Processing an order in Telios begins in the Sales Order module. Press “A” to add a new order. 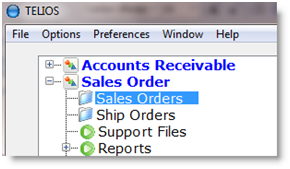 The list will hide and you will be taken to the Sales Order Edit window. 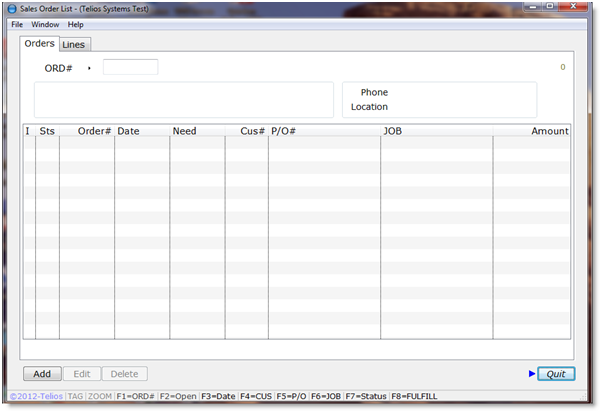 For more on list windows, see: List Window. For more on edit windows, see: Edit Window.